Regular, good quality sleep is vital to overall health and well-being. Studies have shown that short duration and compromised sleep quality can lead to metabolic and cardiovascular diseases. 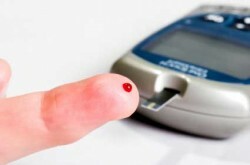 Unfortunately, sleeping problems/disorders, obesity and cardiovascular issues are all prevalent in our society today. Since sleep is a necessary component for good weight management, it seems only natural to look at how changing a person’s dietary habits for the better might also change that person’s sleep quality. Several research studies have shown that protein rich meals or snacks can lead to a reduction in snacking, an increase in satiety, and over time, weight loss. Higher protein diets are often touted as the better choice for those who wish to lose fat mass while retaining or building lean muscle mass. A recent study in the American Journal of Clinical Nutrition (2016) looked at the effect of a high protein diet on sleep and weight loss. This study, which lasted 16 weeks, had 44 overweight or obese participants that were separated into 2 groups. One group received a ‘normal’ protein level diet (0.8 gram per kg of weight), while the other received a ‘high’ protein diet (1.5 grams per kg). All protein was eaten came from foods sources such as beef, pork, soy, legumes and milk. During the study period, participants were asked to complete a survey every month of their sleep quality. The results of the study revealed that the group receiving the higher-protein diet not only lost weight, they also had an impressive improvement in subjective sleep quality. The participants receiving the normal-protein diet had no significant changes in weight and sleep quality. 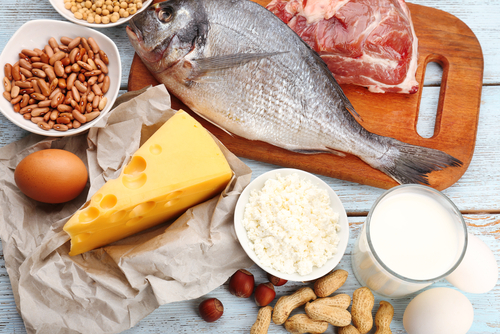 Though there is a need for continued research into how protein intake and sleep quality relate, this study appears to add to the growing list of positives that come from eating a high protein diet. Purdue University. 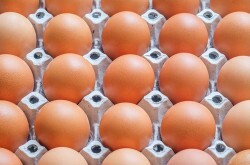 “Losing weight with a high-protein diet can help adults sleep better.” ScienceDaily. ScienceDaily, 24 March 2016. <www.sciencedaily.com/releases/2016/03/160324133028.htm>. Are Protein Rich Breakfasts the Answer for Overweight Teens?